First described by Heckel in 1843 suggests that this species has been known to mankind for well over 150 years now but it has not been widely kept and bred by hobbyists until more recent times. Most killifish enthusiasts shying away from European and Mid Eastern genres due to the apparent lack of vivid colouration, preferring instead to opt for the wow factor of the African genre’s such as Aphyosemion & Nothobranchius. Today, aquarist’s awareness in habitat devastation and destruction seems to have increased the popularity of Aphanius and related European genre’s of this ilk and rightly so. The geographical distribution of this little jewel is pretty vast by all accounts, ranging from the Dead Sea and Jordan Valley in Israel up through Lebanon and Syria into south central Turkey and then down the Euphrates and Tigris river valleys into the Shat al Arab marshes near the Persian Gulf. Most populations prevalent in the hobby today seem to emanate from Turkey, most noticeably being the “Kirk Goz Spring” population. Whilst a great number of species from the Aphanius genre come from coastal waterways that are considered marine to brackish in their make-up, this species in question inhabits bodies of water such as springs, creeks, rivers, and small lakes which are considered by nature to be freshwater to slightly brackish, where here it lives in the shallows of the water’s edge amongst heavy vegetation to avoid predation and to establish breeding territories. Images of male and female. As mentioned earlier, as a killifish enthusiast, I would have never even given a second thought to keeping any of the European – Mid Eastern species of toothcarp. Through ignorance and considering them to be a poor man’s version of what was coming out of Africa and South America. I think this very fact is or was most folk’s perception on this topic, so I don’t think I was alone in this line of thinking. I knew they had their following but I perceived it to being only a small minority of enthusiasts in a pretty much niche area of killi-keepers. It was September 2010 and as I stood in the auction room attending the BKA convention, a bag, of what I considered to be fry of some species of fish, was thrust upon me by one of the lads from TDC aquatic “There you go lad, these are for you” was the words uttered. The label, on the bag read “Aphanius mento Zengen (Turkey)”. My initial thoughts at that moment were “what the hell am I going to do with these”. I knew absolutely nothing about this species, how to care for it nothing. It was day one of the convention and how was I going to keep them alive let alone get them home. To be honest I was contemplating either handing them back or passing them on to some other unsuspecting soul, such was my feelings at that time. I kept them in my room and changed the water daily in the bag, half expecting them to snuff it by the time the convention was over. Needless to say they survived. At the final day’s auction I bought some cracking fish and enlisted the services of a fellow member and friend to do the honours of posting my purchases over to me in Northern Ireland the following week. (This he did without quibble). Getting the fish home and allocating tanks was not a problem, at least not for the fish I had paid good money for. But what was I going to do with the Mento. I hadn’t really given this a thought to be honest, they were very small and by this time they looked like they needed a good feed. 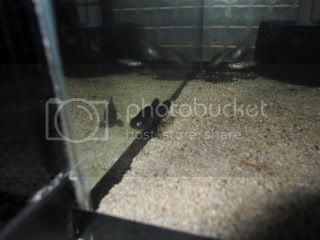 I decided to keep them and afforded them a small “show tank” (12x8x8). Not worrying too much about their well being other than to feed them every day and to perform weekly water-changes which coincided with what I was doing with the other tank maintenance that was going on. Still these buggers survived. I started out with six tiny silver fish and as the months rolled by I glanced at them every now and then, still I had six silver fish, admittedly a little bigger given the passing of time. “All bloody females” I would exclaim, I even asked around to see if I could get a male, but as it was mid-winter the chances of that were virtually zilch. Then one day to my amazement one of these fish started to darken, could this be a male...yes ....yes...yes..
At this point my interest in this species soared as I began to read all the literature I could find on this and related topics, then I began harassing folks such as Jim Warner and Nigel Hunter for tiny snippets of information on their husbandry. With having at least a pair, I now had the makings of a breeding group. The male just wont keep still. Our local Tap-water, whilst not ideal, is very hard and has a pH of around 7.6 so this, naturally, was what I was going to use. 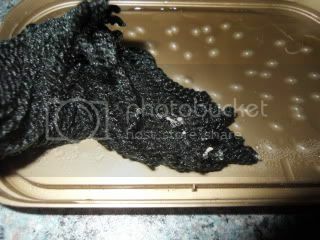 A little conditioner was added to their waster-changes alongside a spoon full of cooking salt and that was basically it as far as providing them with any specialist treatment. They seemed to like the environment in which they were living, the temperature of the water would be in the region of 60’F and they seem well adapted to this, as they are pretty active, they don’t stop and lounge around like most killifish I’d kept previously, always darting around the tank. Now, with taking a more vested interest in this fish I feed them predominately live-food, whereas before, when they were smaller, I was using spurilina and staple flake. They now enjoy morsels such as Fruitfly, Grindal & Whiteworm, Newly hatched Brineshrimp and Moina macrocopa whilst still retaining some element of vegetable matter in their diet through the dried food. The males of this little fish, for its size, seems to have developed quite a reputation for being aggressive, with reports of rival males being battered to death alongside unresponsive females, even some accounts of them being used as dither fish with cichlids and being more than capable of holding their own. Whilst I cannot speak for all the locational varieties of this species, the contingent from Zengen (and I may live to eat my words) must be quite placid by comparison. Currently, in the small confines of their tank I now have 3 large females, one dominant male and a smaller male (both coloured up). I lost one of the original six early on, it being the runt. Barring the odd short chase I have witnessed no real aggression as such, not yet anyway. 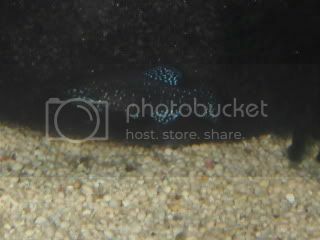 The fish are what I would consider “still only young”, and maybe this aggressive trait will manifest itself later on as the fish mature somewhat, I will have to wait and see. For the meantime all is pretty much peaceful. Taking heed of all the literature I’ve gathered especially my observations from their temperament, I decided to keep them as a group and spawn them (if I could) as such. Noticing that I was getting the odd egg here and there I decided that it was time to include another mop (sunken). I would observe that the only eggs being laid would be attached to the very bottom of the floating mop right at the point where they touched the aragonite sand base. I have, to date not had any eggs other than this locality, not even on the sunken mop. Now I know that this species will predate their own eggs and young so a daily collection of eggs must be performed if one hopes to gather some stock for the next generation. The male will keep close to and circle the lower regions of the mop and will entice the females into his little domain to spawn, he will only venture away from this point to quickly feed and dart straight back to his territory. The females on the other hand remain for the most part in open water and are not as timid or highly strung as the male. Over the winter in the garage I was not getting any eggs at all, albeit the fish were still young. It is only now with the advent of Spring that everything has sprung into life, which, as suspected, this species may be considered as a seasonal spawner. 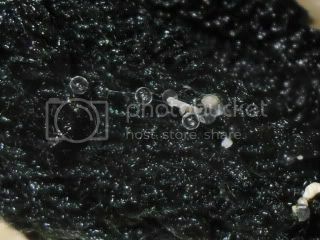 The eggs of Aphanius mento (from this location at least) are very small, they are laid singally and also in very sticky strands of around three, they are a very clear egg with no signs of colouration. As mentioned earlier I collect the eggs on a daily basis and place them in a small margarine tub with the same water as the parent tank. I like to add a few grains of salt at this point to try and keep fungus at bay. Here the eggs mature for around 1-2 weeks before they hatch, please note that this can vary quite a lot as this is temperature dependant. Egg clusters of A. mento at the extreme ends of a floating mop. 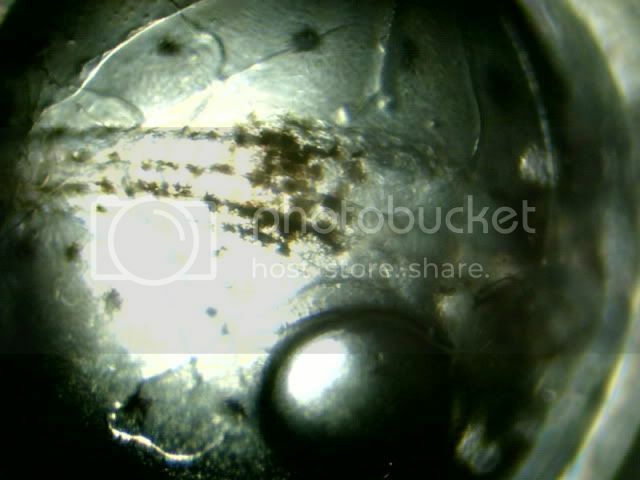 I now remove the newly hatched fry with a pipette to a fresh tub of water of the same quality and begin feeding, three times per day. 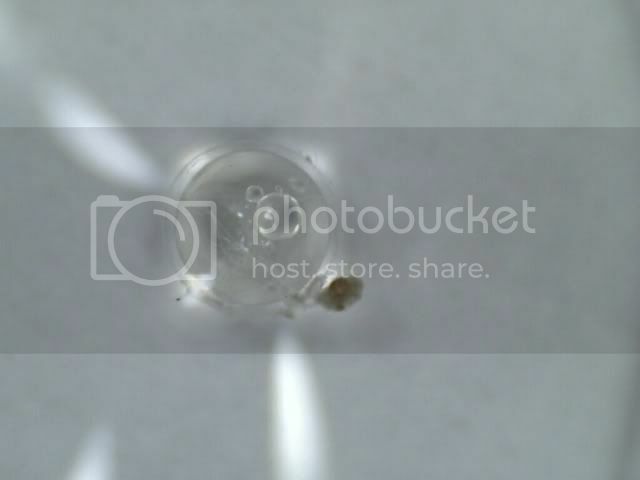 Surprisingly enough the fry from such a small egg are able to consume newly hatched brine-shrimp straight away. As always keep the fry tubs clean and remove any uneaten shrimp or otherwise daily. Small water changes can be performed as you do do. The fry of this species take a long time to mature as was evidence from my initial handout from TDC. They took ages to grow and acquire colour, perhaps around six months in total. It may well be that a higher temperature would have some effect at foreshortening this, but from my observation at a mean low Winter temp until its natural progression into Spring, this was what I personally witnessed. This little beauty is a true gem, perhaps not given as much attention as it deserves. The colouration of the males in breeding apparel is truly a sight to behold. I was admittedly one of those many killifish fanciers around the globe that leant toward keeping the more colourful African and South American genus of toothcarp, not giving a second thought to keeping Killifish, that were, for some part, closer to home. These killifish genre’s deserve a mention more hobbyists to take an interest in them for they are experiencing the same problems and tribulations that their counterparts are experiencing in other more climatic parts of the globe, their habitats are being destroyed through various anomalies, mostly man-made. Some are extinct in the wild and some are teetering very close to the edge. So I urge folks to spare a thought for these fishes, their background, and their plight and to maybe set aside a small tank in a cool corner of their fish-house to keep these little gems from disappearing altogether. 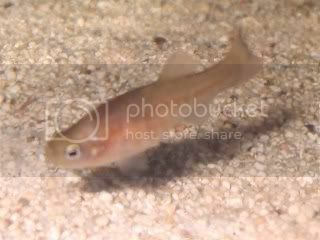 A cold water killifish species with No electricity usage to speak of what more could a killi-fancier want in these hard times. I am indebted to Tim at TDC for passing these fish onto me otherwise I may still be viewing these, as do many others, with a certain amount of distain. I hope you all enjoyed this personal account on this lovely little “Persian Jewel”. 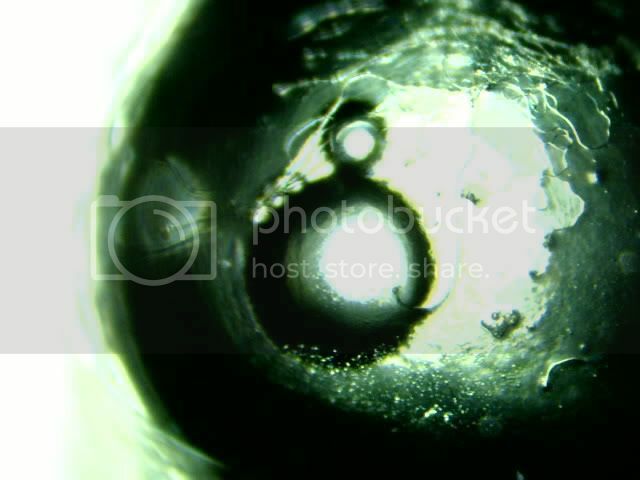 Last edit: 17 Apr 2011 13:52 by Puddlefish (Colin McCourt). I think I now see why the 'Mento' eggs I got last year didn't hatch, they were put into water at least 20 degrees higher than that - either that, or (as has happened SO often with eggs sent from overseas) they were X-rayed and the radiation killed the ova. Anyway, no more posted eggs for me! I've learned my lesson (probably fifty times over - I reckon it would have been cheaper for me to go to all these places and collected the eggs myself!!!). Nice article Colin, I had the pleasure in May of 2010 to pay a visit to the TDC fish-house for a pick up of a different kind, albeit I did pick up some fish for some other people I hadn't expected to see such an abundance of temptation. At the time Tim & Dave showed me around and talked through the tanks and show winners, I was really struck by the size of their Celestial Pearl Danio and also Pseudepiplatys Annulatus and some Bottom Sword Vienese Blond Guppies. There were some beautiful livebearesrs and killies like - Nothos, Simps, Fundo & Rivulus and they showed me 4 different Aphanius like fasciatus, dispar, antoliae, danfordi (gorgeous colours too), vladikovi but by far my favourite was the Mento - the alpha male was all coloured up and was a beautiful blue colour, I am kicking myself now for not taking up the offer of a group of young fish as I had convinced myself that I hadn't a tank ready (hard and alkali) for them had I put them in the car for the ferry and was checking my watch for the departure time. So I guess I rushed my decision, anyway I will get some from them over the summer. I have just purchased a new LCD Microscope and whilst I'm getting to grips with its finer points, I am going to use this subject matter for a series of daily microscopic images on an egg from this species. Day1 (Collection) The nucleus appears to have already divided the once. I hope to carry this experiment on until the egg eventually hatches which should satisfy two aims. (a) to show what goes on inside a fertilised killifish egg and the embryo in its early developmental stages...(b) it enables me to learn more about the working of this new scope. 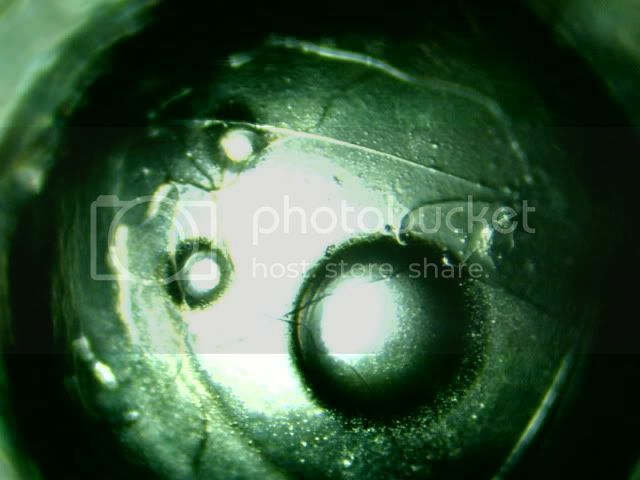 Last edit: 06 May 2011 20:35 by Puddlefish (Colin McCourt). How is this experiment progressing? 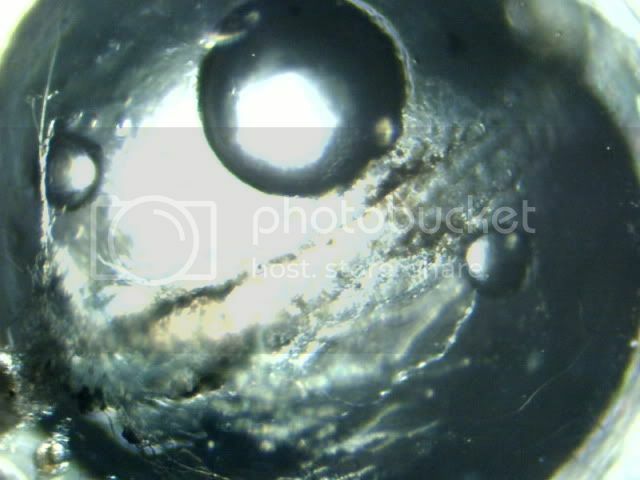 Which reminds me, I have a Bressler Microscope with USB connection - the BioLux AL I bought from - of all places - Lidl. It has never been out of the box and has remained almost forgotten for getting on for two years - I really must give it a go. Well - I for one - was waiting for the next instalment with bated breath, even bought some different Aphanius eggs, I think you saw those? In fact I know you did because we spoke about them. Also bought yet another batch of Sjoestedti eggs from a breeder in Poland - but they still haven't arrived...what's new? I've said this before, but the money I have spent on failed Killifish eggs in the past six or seven years is that much that it would have been far cheaper to have travelled over and collected them in person! I know what you're thinking - perhaps John's at fault...maybe you're right but you can ask Platty about the packs of 'eggless peat' I've bought...hopefully he'll back me up on this. Anything like this is great reading. Bring on the next part. All always great stuff from you. 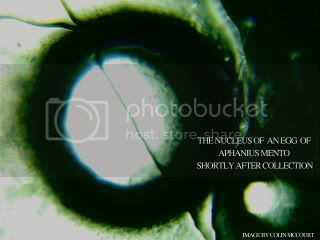 even bought some different Aphanius eggs, I think you saw those? In fact I know you did because we spoke about them. Development of the killifish egg is, for me at least, a very interesting topic, one in which I wish to learn a lot more and study the various stages in a little more depth, the timings, the nomenclature and any other details that go alongside this. 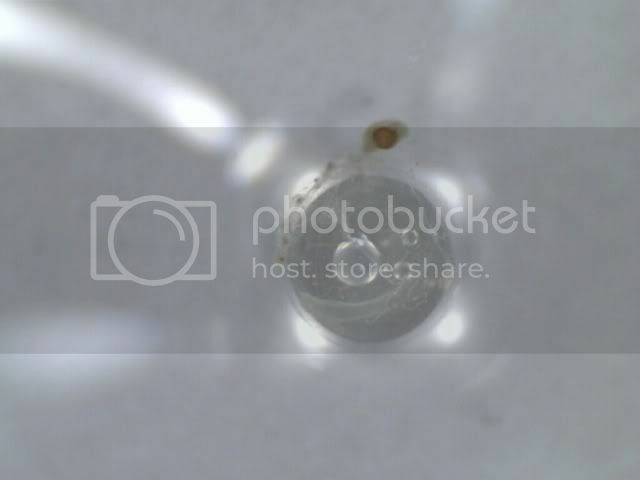 The time it takes for an Aphanius mento egg to completely mature is given in or around two weeks, give or take, and is temperature dependant. So little wonder that not much has happened in the last 24 hours. Well when I mean not much has happened, I use that term very loosely indeed as although there is perhaps little difference to the naked eye, when scrutinised under the microscope things are a whole lot different. As life inside this Aphanius egg would seem a little slow as cells move, adjust and start to function, I should really include a shot from a little farther away but this will act in tandem with the micro close-up images and videos to come. In this earliest developmental stage of the fertilized ovum (ZYGOTE) there are several mitotic divisions within the membrane. Each cleavage or segmentation yields two BLASTOMERES of about half size of the parent cell. Day 2 (i) Shows the egg from a little distance away. (ii) Same shot utilising the main scope. Cell division seems to be continuing apace. Last edit: 12 May 2011 22:12 by Puddlefish (Colin McCourt). Last edit: 13 May 2011 21:13 by Jim (Jim Lawlor). Today there seems to be three distinct spheres within the egg casing. One large (which was always there) and two smaller daughter spheres which have split from the mother. They appear to be moving farther away from the main globe, outward toward the rim of the egg. Day 3 Again I have included two views so as you can ascertain what is exactly happening. 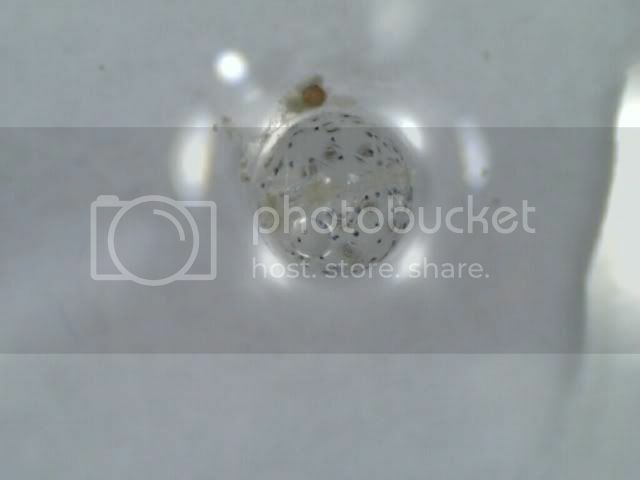 Procedures are happening at a pretty slow pace compared to fish eggs which take a shorter time to hatch. Yesterday I had concerns that this egg was not going to turn out to be viable... but I needn't have worried. What a difference 24 hours makes. I think you'll all agree that the transformation between day three and day four is nothing less than astonishing. Day 4 If you look closely the backbone has started to form and can be see spread across the inside of the egg just above the larger globe. Interestingly also that the speckling has started to form which is evident in all the killifish eggs I have studied so far. I have had suggestions as to what this is but need to find out a little more on the subject. From the microscope shot, again the backbone is clearly visible running around the circumference of the egg sack from 2 O'clock to 8 O'clock. Again today there has been massive changes to this egg. 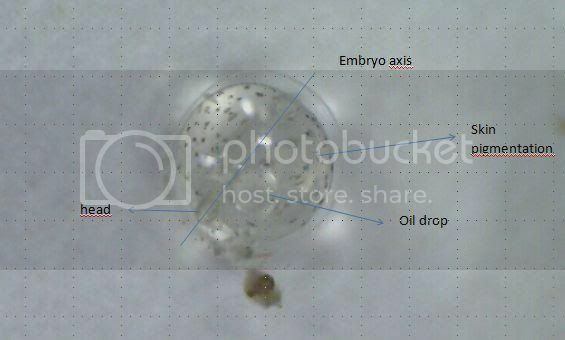 For the first time we see animation within the egg casing as the heart starts to form and pump fluids around the body. Now we may witness the start of probable accelerated development of this particular fry. 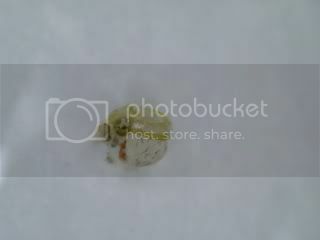 Day 5 Again one can clearly see the fry lying across the inside of the egg sac. Now that this embryo has become animated with the resemblance of a heartbeat, I feel we must include video clips. The pumping station has started to function, moving fluids around to key organs.